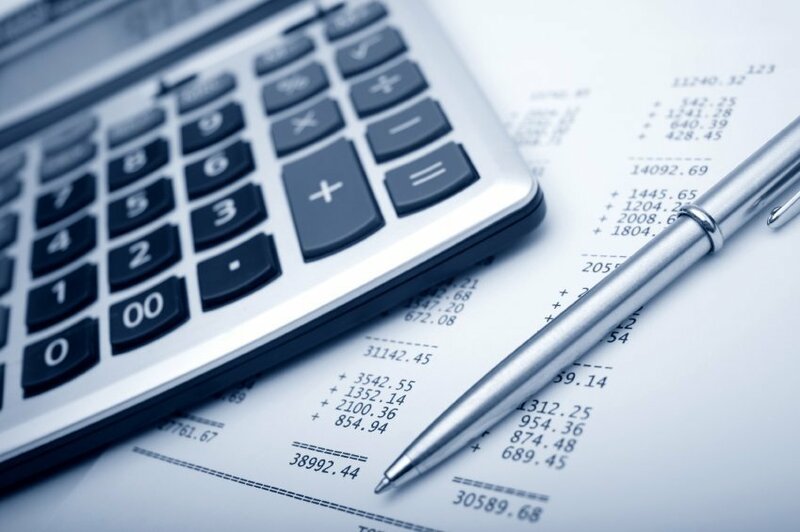 Streamlined financial tools including tuition, billing management, invoicing, donor tracking, family statements, expense reports and more. Gradelink’s tuition & billing section allows you to flexibly create pay plans for students/families to pay down tuition and other fees in installments. Easily track reduced rate tuition. Gradelink allows you to charge variable rates as well as credit student accounts when they receive scholarships or funding. Configure as many different transaction rates as you would like. 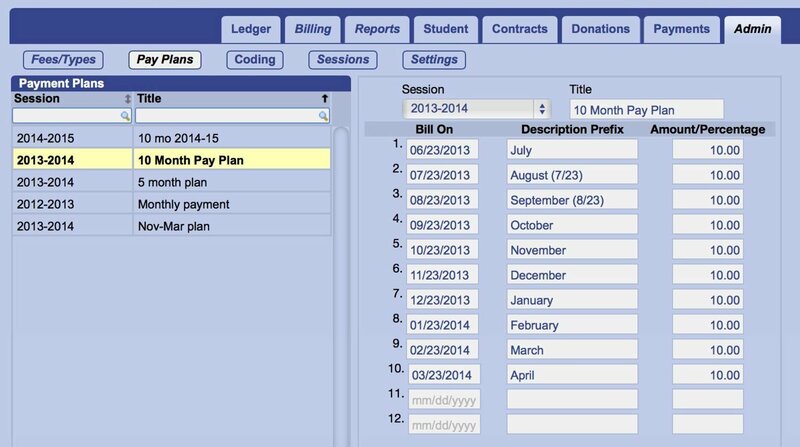 Control when charges are posted to the student ledger or allow parents to make payments ahead of time. 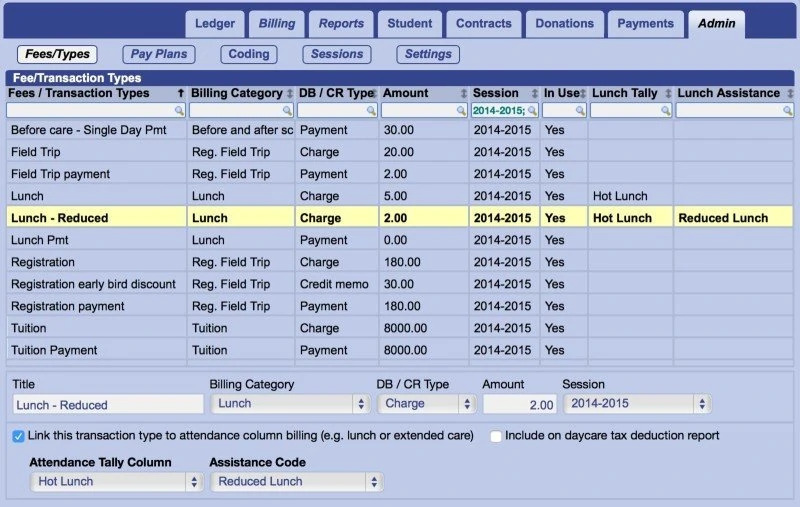 Run a lunch billing report to view lunch billing information exclusively. Also track lunch payments received. Yummy! Now Available! 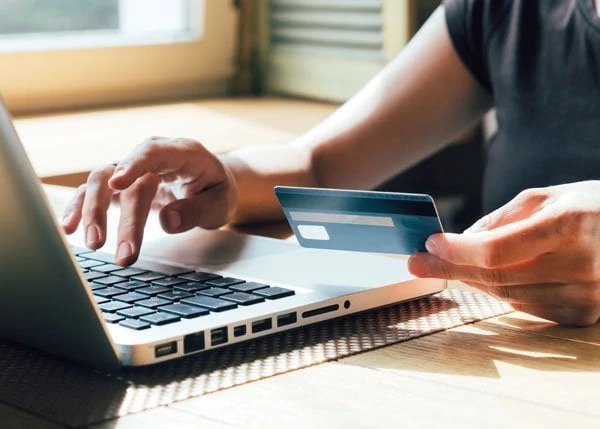 Gradelink offers integrated payment processing, allowing parents/students to pay their school charges conveniently and securely online. ACH (eCheck) and credit card payments deposit right to your school account. Enjoy very competitive processing rates. Call today to see how much you can save. 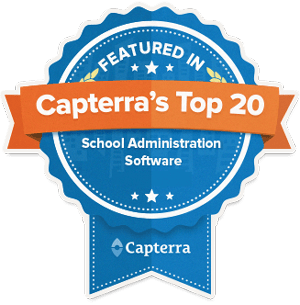 Gradelink’s award-winning student information system (SIS) connects administrators, teachers, parents, and students in one seamless system. From grading to attendance, scheduling to homework, discipline to medical records, Gradelink is powerful, flexible, and easy to use. Enjoy speedy performance and real-time updates from any internet-accessible device. Watch this short video to see why principals, administrators, teachers and students choose Gradelink Student Information System. Of all the vendors we deal with, Gradelink is by far the most helpful and has the best customer support. FABULOUS!!!! Thank you! My life is so much easier now.